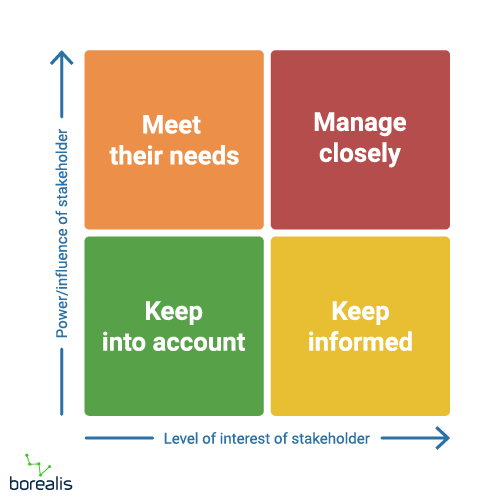 Identifying and assessing your project stakeholders is a key step in order to build a good stakeholder engagement plan. And with reason: failure to identify who weighs in the balance and who doesn’t could lead to wasting a lot of time and money in the wrong places. Plus, it could also rhyme with work stoppages and important damage to your corporate image. 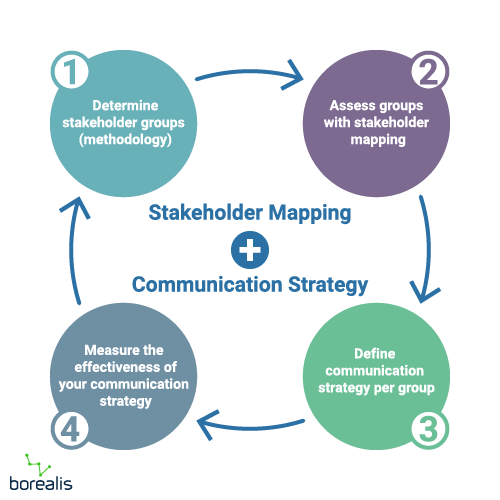 Thankfully, through our work with clients, we’ve been able to put together a 4-step approach to make sure you identify key stakeholders, in addition to carrying out a rigorous assessment for each one through a meticulous stakeholder mapping process (which is now partly automated in Boréalis!). But first things first, let’s begin with a clear definition of what, or who stakeholders are. 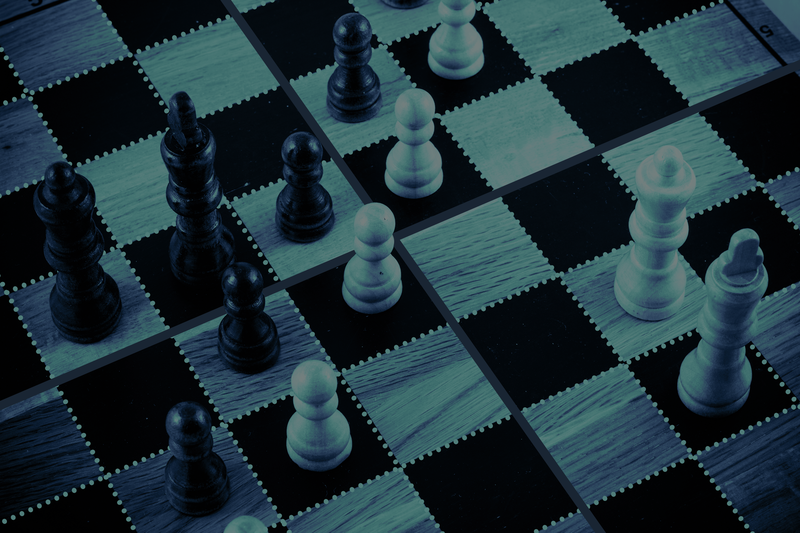 Now that this is out of the way, how can an organization identify and assess its stakeholders in order to better communicate with them over time, especially while keeping its long-term objectives in mind? Vulnerable groups: women, elderly, etc. These are just some ideas to guide you, you should define groups that are relevant to your project, given your context, history, location, scope, etc. 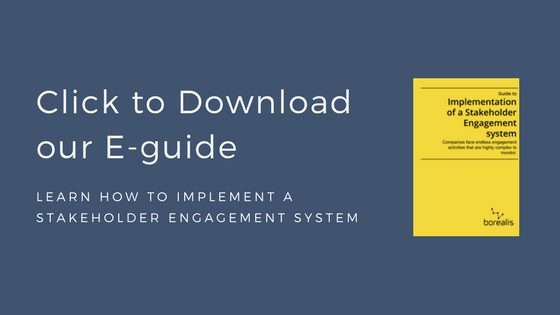 Once groups are clearly defined, you can deep-dive into the assessment of the stakeholders within each group. To do so, stakeholder mapping has proven to be the best method: while it used to be (and too often still is) a manual process, more and more organizations are shifting to an easier, more precise and less influenced-by-internal-stakeholders’-opinion way to crunch the data. Now imagine just that, on a wall covered in Post-Its! Getting an entire community relations team in the same room to complete the exercise is quite a challenge. Plus, it’s very time consuming. 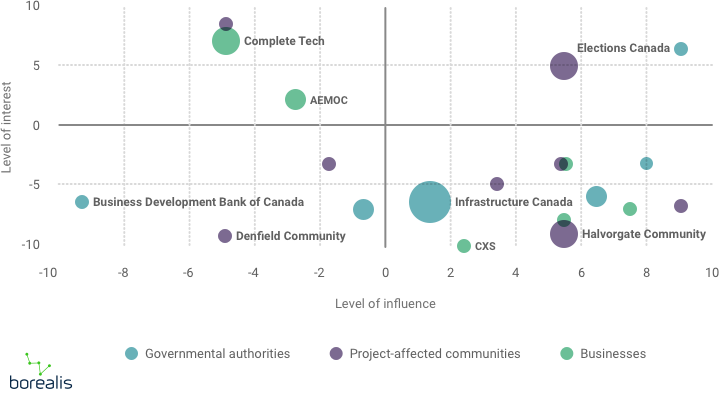 If in the present people’s opinion, a certain community member isn’t taken into account (but turns out another community liaison officer who is absent at the time of the exercise found out they had tremendous influence on high significance stakeholders) and is left out of strategic decisions, well that can deeply hurt the project over time. Now just imagine what could be falling through the cracks if you have a team with dozens of field agents in contact with your stakeholders every day! It doesn’t show or track stakeholder evolution. 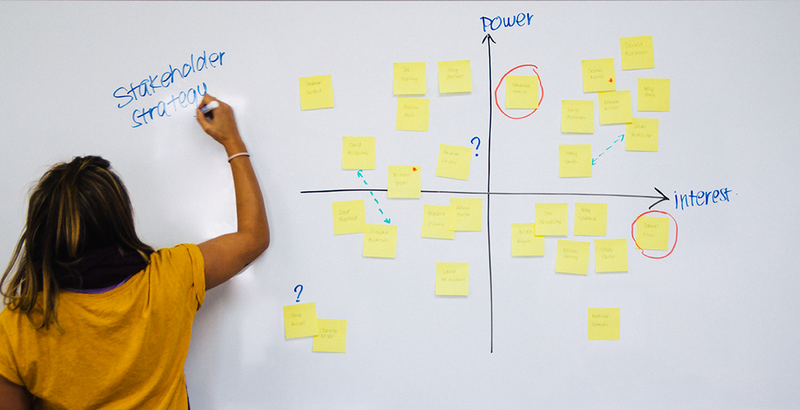 Sure, you can move a Post-It note or a dot on a whiteboard to change a stakeholder’s position on the map, but once you’ll have done this 2-3 times for 15 stakeholders, good luck remembering where they were the previous month. You can always play the devil’s advocate and tell me you can take pictures, well yes that’s one option. But I’m sure you’ll be remembering this article when time comes to try and read names on the picture of your wall of Post-Its. Speaking about the picture of Post-Its, I hope you saved a copy on your iPad, your laptop, your smartphone, and other devices. You could also scribble the stakeholder map on a napkin and carry that everywhere. But what happens the day you find nothing else to sneeze in? Okay, I’m all jokes here, but more seriously, being able to carry and share your stakeholder map with team members who are physically remote, like for instance not on the project site, will definitely come in handy. Plus, how do you share relevant data with management? Urgency: are matters (issues, grievances, commitments, etc.) linked to this stakeholder urgent?